French fries are almost universally a hit with kids. But let’s face it, they’re not exactly the healthiest food option. That’s why we love these Baked Avocado Fries as a more nutritious alternative to a junk food favorite! Avocados are one of nature’s superfoods! 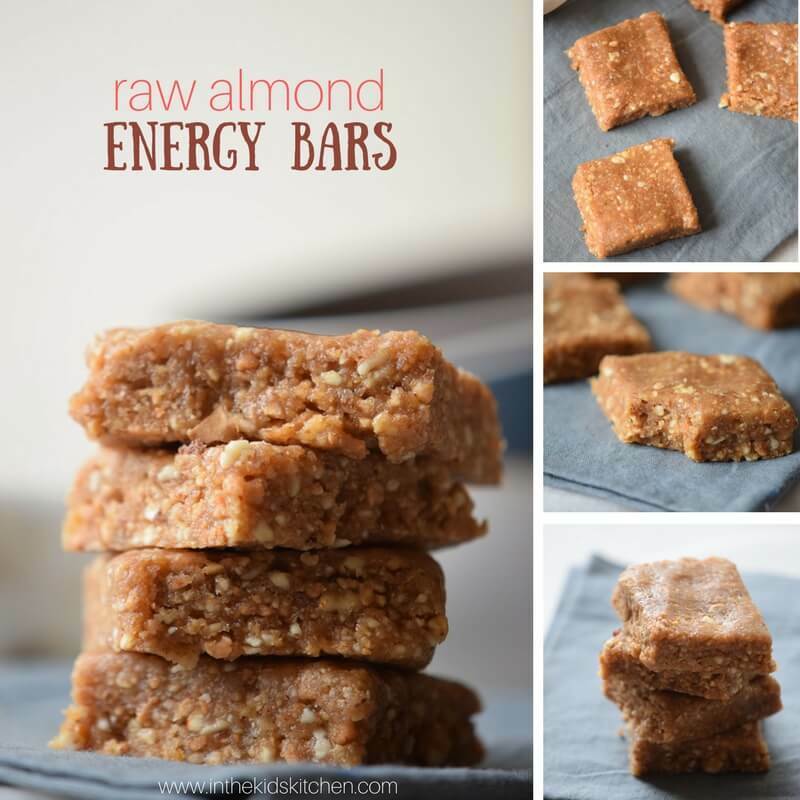 They contain almost 20 vitamins and minerals in every serving — including those awesome B-vitamins that provide energy and an immunity-boost. Avocados are also high in good fats, fiber, and calories, all of which help you feel full longer. (Source) Avocados are also highly recommended by paediatricians to help get healthy fats into young children or those that are at a risk for being underweight. 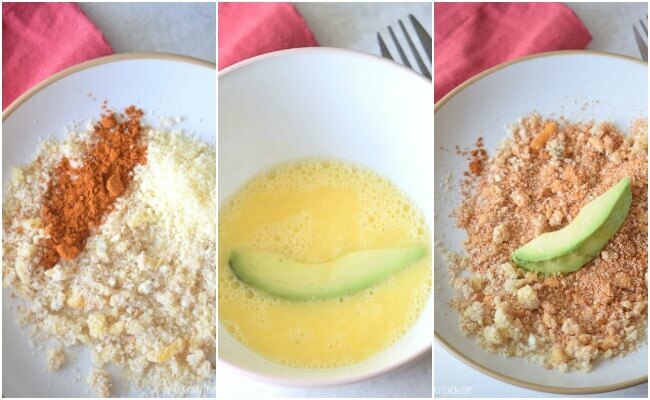 They are a great snack after a busy day of running around or playing in the backyard and there are so many ways to enjoy them – and first up is our crunchy avocado fries recipe! Crispy on the outside, rich and creamy on the inside — these avocado fries are a delight to the taste buds! Plus, your kids will have a blast helping you make these by dipping and battering the slices… and of course chowing down afterwards! You can easily double or triple this avocado fries recipe for a crowd, but I’m not really a fan of prepping them ahead of time. Part of their allure is that crunchy coating – which just doesn’t reheat well. Luckily, this recipe takes less than 20 minutes to prepare, from pulling out the ingredients to pulling these beauties out of the oven, so they are a quick side dish you can add to just about any meal – or a fun appetizer to sneak in the veggies before the main dish is served! They’d also make a great late night snack or a movie night appetizer. My daughter loves these with a side of sriracha mayo, but they really don’t need any dip to make them more delicious – they are fries after all! 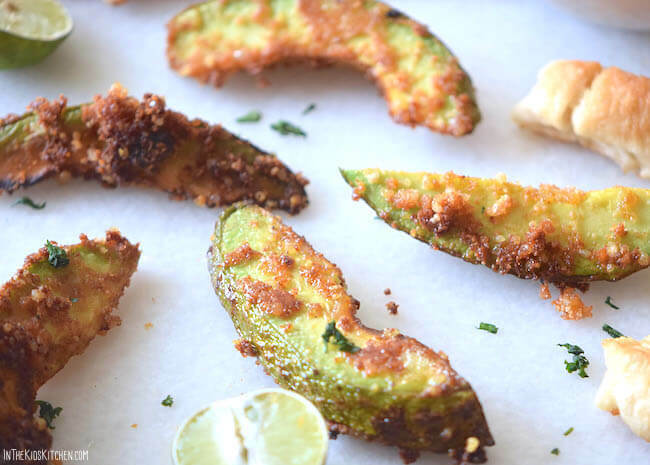 Tip: these avocado fries are best served immediately after baking. They do not reheat well and will brown if refrigerated. Place avocado slices in baking dish (or baking sheet covered with one of these versatile, non-stick silicon baking mats) and drizzle olive oil on top. LIKE In the Kids Kitchen on Facebook for fun family food ideas shared every day! 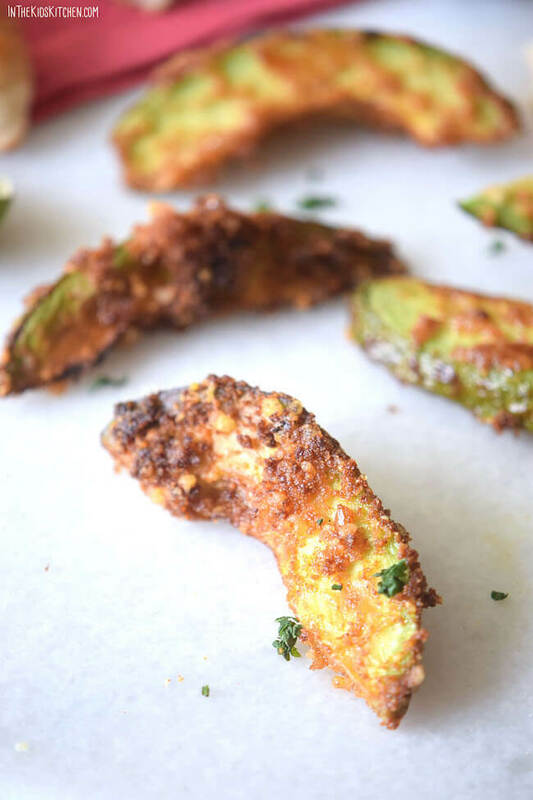 These avocado fries are a crunchy, baked appetizer with a creamy center – the perfect avocado appetizer recipe or side dish! I hope your family loves this recipe just as much as my daughter did. No printer mode for this recipe? Welcome to the 1990s! 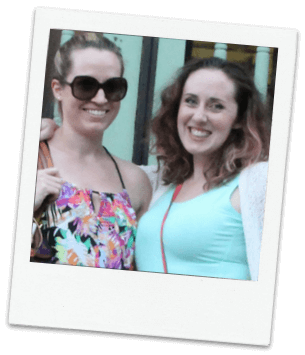 Hi Charles – we usually do include a printable recipe within each post. Thank you for pointing out the oversight, I’ve updated. 12 -15 minutes, but I will cook longer the next time because they were not as crispy as I would have preferred. Other than that, I will make this again. Just prepared my avocado fries! Baked for 25mins 450 degrees. They were amazing!! !